If you have any questions or want to enquire about dates, use our form to contact Green Door Cottages or see their website for more information. Such a lovely little bay – and these two apartments, on a small hillside, one above the other, have Atlantic views to die for. Newly updated in contemporary style, inside they are light, warm and comfortable and, taken together, perfect for a big gathering. Both have wood-burners and logs on the house. Upper Tregudda is especially light, its spacious sitting room and huge windows overlooking the sea. 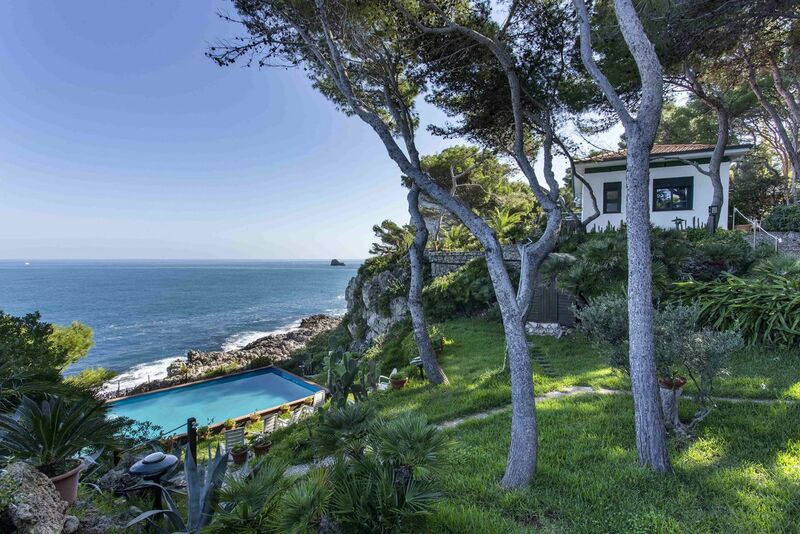 A balcony stretches along the sea-facing side of the house, replete with sun-loungers for sunsets and views; the sitting room, dining room and master bedroom all have French windows that open onto it. Lower Tregudda – just below – has a much larger kitchen with seating for eight, opening straight onto the lovely shared garden; there are surf boards, fishing nets and croquet too. The area is owned by the National Trust, so walks are special and the coastline is dramatic. There’s safe swimming and rock pools on the pebbly beach below, famous Port Isaac is around the headland and the bustling Port Gaverne Inn is at the bottom of the (very steep, very narrow!) hill. Drift off at night to the lap of the sea. Minimum stay: 2 nights. 7 nights in high season. Short breaks available. We stayed in upper tregudda , the apartment is truly well equipped with everything you will need to make your stay go smoothly. The views from the bay window in the lounge area are really amazing even on a rainy day you can sit back and enjoy the beautiful bay. The grass area outside the apartments are a real bonus . The decked balcony that goes across the front of the apartment is a lovely spot to sit and have breakfast or a drink at the end of the day where you can watch the beautiful sunset. We will definitely be going back next year. Amazing location, stunning geography and lovely little flat - highly recommend for a relaxing getaway! As usual a wonderful holiday in perfect holiday accommodation, excellent facilities thank you, we look forward to returning next Easter! Lovely, spacious, enough for 8 family members. Excellent kitchen, 2 bathrooms (loved the walk-in rain shower), decks and amazing coastal views in 3 of the 4 bedrooms, and cozy fireplace. We so enjoyed trekking up to Port Isaac to the fish mongers to bring home the best, freshest Cornish seafood. If we weren't coming from so far, (California, Maine and New York), we would always return for our family reunion! We are located in a walker's paradise! The South West Coast Path runs directly behind Tregudda, and the beach is a stone's throw away. Superb walks literally from the door out onto the cliffs. Davidstow & Bodmin Moor close by. OS maps available to borrow. Our local pub & the new Pilchards beach cafe are very close by. Pop out for a sundowner & a bite to eat after a busy day on the beach or an exhilarating walk along the cliffs. In winter, cosy up to a roaring log fire. Good seasonal food on your doorstep. You can take boat trips locally; and water activities on Port Gaverne beach - one of the top wild swimming spots in Cornwall. Coasteering, Ecoasteering, Kayaking, SUP's & wetsuits for hire as wells as small group trips. Discounts available for our guests. There's plenty of choice for trying fabulous fresh fish & shellfish locally.. Buy direct from the fish cellars & BBQ your own; take away fish & chips, or dine out in style at Michelin-star celebrity chef Nathan Outlaw's two fish restaurants in Port Isaac. 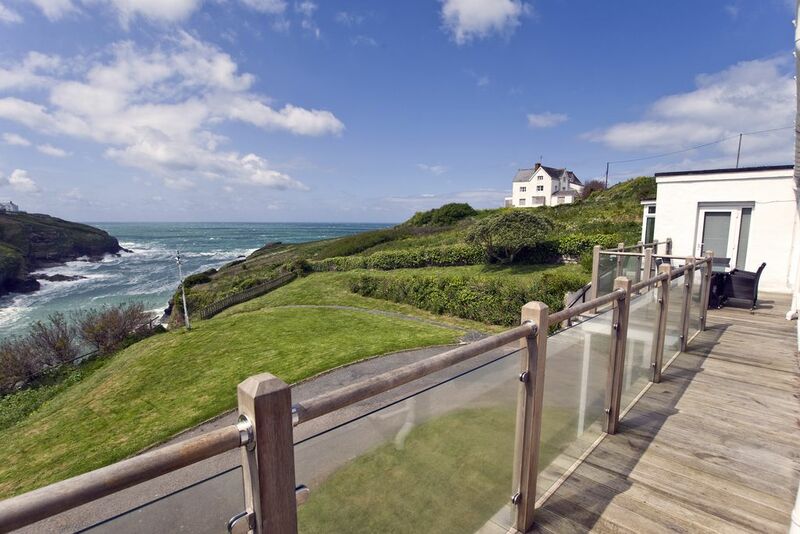 Close by - world class surfing beaches, charming fishing villages & towns, National Trust houses & gardens to explore; superb golf courses, King Arthur's Castle, cycle along the Camel Trail to Padstow. Further afield - The Eden Project and Minack Theatre. Port Gaverne & neighbouring Port Isaac are well known as film/TV locations, eg. Doc Martin & Saving Grace. Port Isaac is a half mile stroll - a quintessential working fishing village with winding streets & whitewashed cottages leading down to the harbour.